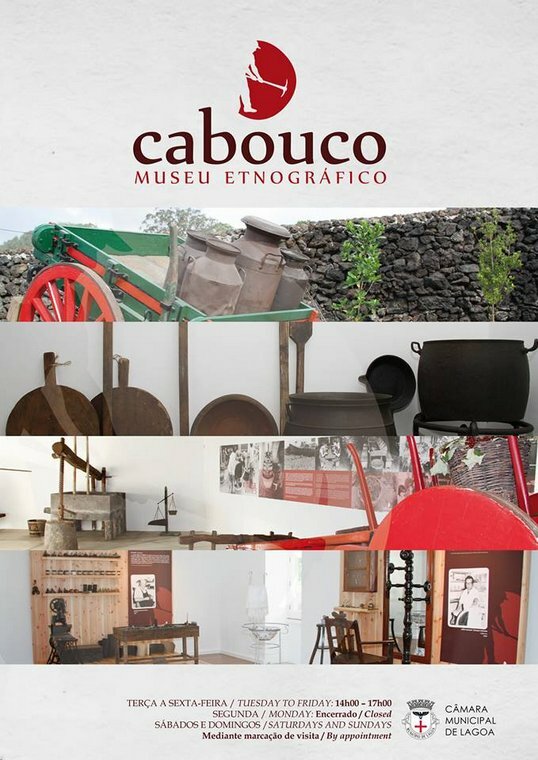 Located at "Rua da Igreja", in parish of Cabouco, the Cabouco etnographic museum collects an asset of 530 pieces of great historic and cultural value, that are part of the collective memory of the community of Cabouco and of the Azores islands. It creates a microcosm of an exterior reality, formerly lived. Looking at the pieces and images, one can revive the origin of the name of the parish, because in the past existed in this place big "caboucos"(stone pits). Cabouco became a parish in 1980 and still is the newest parish in the municipality of Lagoa. In the draws that show the models that were proposed in that time, one can appreciate the historic evolution that led to the obtainment of the heraldic symbols of Cabouco. Profoundly attached to the origin of the name "Cabouco" is the craft of stone cutter("cabouqueiro"). Formerly known as "land of the tone", Cabouco was popularly known as being the place were existed stone pits.